I saw the stacks of empty egg cartons in the kitchen and thought why not let Dot paint one of them. 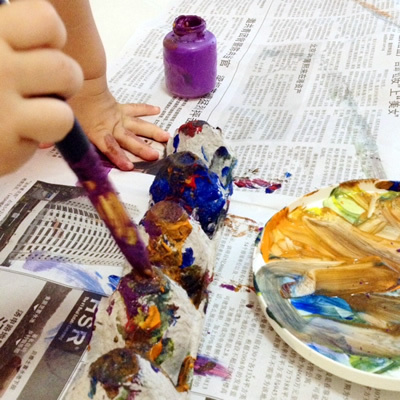 She painted her new artwork and ended off with her favourite hand printing on the newspaper. 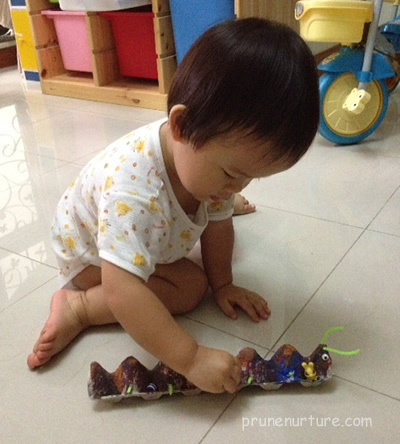 Then one Sunday afternoon, we went to Art Friend at Bras Basah to buy some art materials. 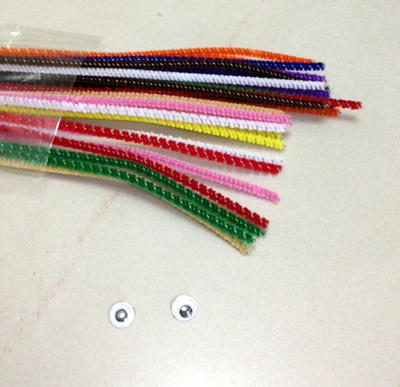 We pasted the eyes on one end of the egg carton, cut one of the coloured strips and insert them onto the egg carton. 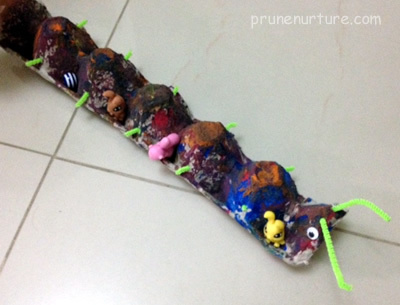 And here, we have our own home-made caterpillar! See how a simple egg carton is transformed into a child’s toy. It excites me that a lot of creative crafts can be made from egg cartons! More of Dot’s crafty Time at #DotCraftyTime. Previous postA lousy mom learns to discipline her child Next postMothers, do you know you rule the world?